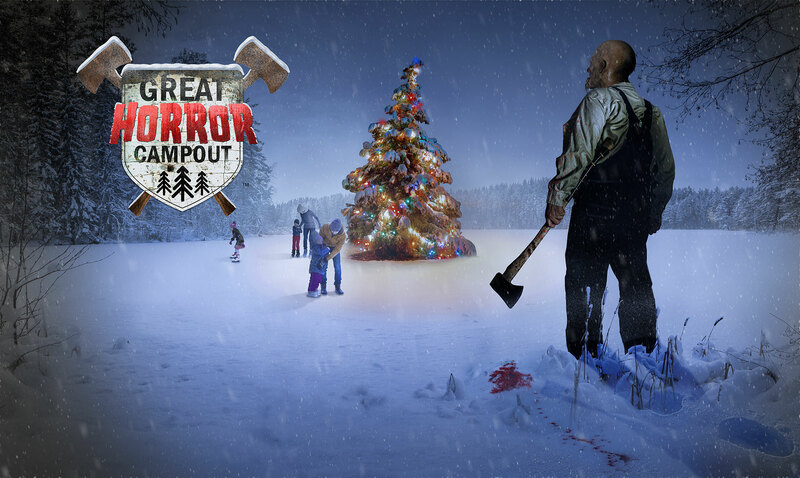 Just in time for the holiday season, Ten Thirty One Productions (TTO) – the freakishly creative minds behind the Los Angeles Haunted Hayride – have announced the return of The Great Horror Campout. Described as a “12-hour, overnight, interactive horror camping adventure,” the one-of-a-kind, original production will kick off right here in Los Angeles June 5th and 6th, with more cities and dates to be announced in the coming months. Along with the kickoff announcement, TTO has also announced a special “Bloody Friday” sales event in which campers can take advantage of the lowest ticket prices of the year. Ten Thirty One Productions, LLC is an Entertainment Company that creates, owns, and produces live attractions in the Horror space. Launching one of the most popular Halloween attractions in LA, “Los Angeles Haunted Hayride” in 2009, TTO has quickly grown as one of the premiere horror genre attractions companies in the country. Appearing on ABC’s Shark Tank in 2013, TTO secured the largest investment in the history of the show and brought Mark Cuban on board as a partner. Shortly after, entertainment giant, Live Nation became a shareholder that provoked a large expansion in 2014. A major component in the business model has and will always be a strong social awareness element that is integrated into the content of the attractions. Be it environmental conservation to animal welfare, Ten Thirty One Productions finds creative ways to raise consciousness in every production.